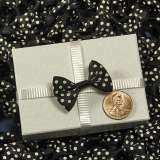 Add an adorable element simply to any design. 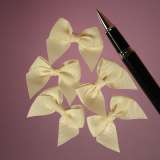 Available in packages of 5 and 10 bows. 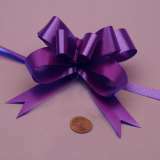 A perfect bow everytime without fiddling with ribbon! 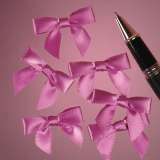 These ribbons are for the bow challenged designers out there LOL since all you do is pull a string and you have a perfect butterfly bow. 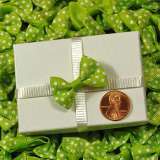 These are small enough to put on greeting cards. 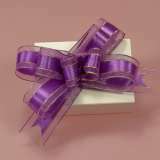 When pulled they measure approximately 2 inches. 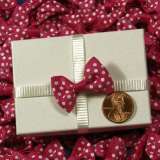 These adorable bows are 1 5/8 wide and 1 1/2 tall...Available in pkgs of 5 or 10. 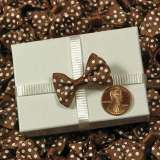 Another bow for the Bow Challenged designer, just pull a string and it immediately pulls into an elegant bow. 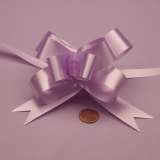 Depending on your taste it may be too large for a greeting card, even so I see hundreds of uses for this elegant and very easy bow. 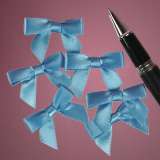 The pulled string is 15 inches long so can be easily attached to most designs. 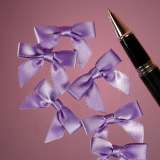 Available in 1, 5, 10, or 25 bows.